Below can be found a series of recent articles, reports, and publications providing news, analysis, and commentary about the Afghanistan conflict. The past few months have seen the Taliban gaining the initiative on the battlefield. Several district centers have been taken in recent weeks. 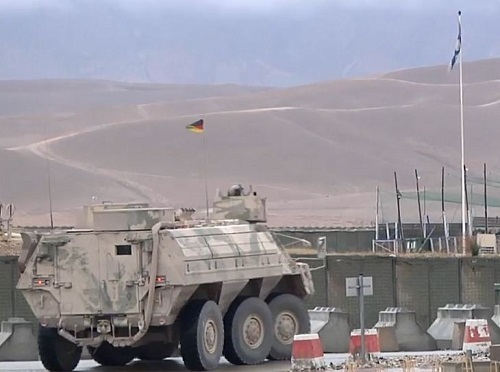 Some are immediately recaptured by Afghan National Defense and Security Forces (ANDSF) – usually spearheaded by the Afghan Commandos advised by US SOF and ‘enabled’ with US ISR and airstrikes. The country is still ‘recovering’ from the corrupt and inept parliamentary elections; yet it is going to proceed with the presidential election scheduled for April 2019. The US ‘peace’ envoy is flying around the world to generate a peaceful end to the conflict but it is unlikely he will make much traction. Starting the 18th Year. The conflict in Afghanistan – from a U.S. and NATO perspective at least – has entered its 18th year. For the Afghans is has been much, much longer. Review a timeline of the conflict starting in 2001 in “Afghanistan war enters 18th year”, Stars and Stripes, October 2018. Bad Month for U.S. November was a month filled with bad news for U.S. forces in Afghanistan. Five U.S. service members lost their lives in the past month – an Air Force JTAC, an Army Ranger, an Intelligence Officer, and two Green Berets. In addition, numerous U.S. personnel were seriously wounded. Afghan Commandos – Getting Beat Up. A former Marine officer and security contractor with eight years experience in Afghanistan writes about how two Afghan Commando companies were decimated by the Taliban, the importance of US SF advisors, the ‘Prince Plan’, and the course of the Afghan conflict in general. Read “The Afghan Commandos are taking a beating”, The Freq, November 27, 2018. Ghazni Province at Risk. The Taliban have made some significant strides in this province since this past summer when they temporarily shut down the provincial capital for five days. While Ghazni city received most of the media attention the Taliban were scoring big in many of the districts in the province. Recently the insurgents mounted an offensive in a couple of Ghazni districts (populated by Hazaras) that up to now were considered relatively peaceful. Read “How the Taliban gained the upper hand in a key province in Afghanistan”, Los Angeles Times, November 30, 2018. Cobra Strike Kandaks. The NATO Special Operations Component Command – Afghanistan (NSOCC-A) is working with the Afghan National Army Special Operations Command (ANASOC) to establish Cobra Strike Kandaks (CSK). The latest unit, the 5th Cobra Strike Kandak, conducted a graduation ceremony on October 25, 2018. Read “Afghanistan adds more Cobra Strike Firepower to Arsenal”, NSOCC-A DVIDS, October 25, 2018. Iran Rockets to Taliban. The Department of State provided a briefing on Iran’s export of missiles and rockets to its allies in the Middle East and Afghanistan. (DoS, Nov 29, 2018). Some critics of the State Department say the evidence is a little weak. Complex Attack in Kabul. On Wednesday, November 28th the Taliban conducted an attack in Kabul. One of the targets was the British security firm G4S. A car bomb went off and then gunmen stormed the building where G4S was located. Luke Griffin, a security contractor, was killed in the attack. Luke worked for G4S for eight years. Five Afghans died in the attack – four of them worked for G4S. G4S provides security for the British embassy as well as security for other clients. Private Security Companies. According to the U.S. Department of Defense there are about 2,500 armed private security contractors in Afghanistan. Some are Afghans, some are Americans, but many are third country nationals. Of the 25,000 U.S. defense contractors in Afghanistan about 10,000 are U.S. citizens. Security services account for 16% of the contracting jobs. Read more in “What are private security companies doing in Afghanistan?”, BBC News, December 1, 2018. Arresting Warlords. According to recent U.S. government assessments 50% of the country is controlled or contested by insurgents now may not be the time to arrest powerful warlords that are establishing security in unsecured areas with their private militias. But . . . there a lot to consider with the warlords that make the previous statement a point of contention. Read “Afghanistan’s battle against warlords”, The Hindu.com, December 1, 2018. Airstrike Kills Civilians. The United Nations Assistance Mission in Afghanistan (UNAMA) has determined that 23 civilians (some of them children) were killed in an airstrike in Garmser district, Helmand province, Afghanistan on Tuesday, November 27, 2018. AFCENT Airpower Stats. United States Air Forces Central Command’s Combined Air Operations Center has updated its statistics on use of airpower in Afghanistan, Iraq, and Syria. September and October saw the highest use of ‘weapons released’ for 2018 in Afghanistan. October was also the high for ‘weapons released’ for 2018 in Iraq and Syria. Strike Summary for October 2018. USFOR-A has released the ‘Strike Summary’ for the month of October. The summary includes “. . . all strikes conducted by fighter, attack, bomber, rotary-wing, or remotely piloted aircraft, rocket propelled artillery and ground-based tactical artillery.” U.S. forces engaged terror and security targets with 392 strikes consisting of 498 engagements during October 2018. The report provides a breakdown of the strikes. Every single day there was a strike engagement. Read “U.S. Forces – Afghanistan October 2018 Strike Summary”, Resolute Support, November 30, 2018. Analysis of RS HQs Strike Data. The folks at Just Security have taken a look at the recent strike summaries provided by Resolute Support and provide us with some observations in “Uptick in U.S. Air Strikes on Buildings in Afghanistan Raises Questions”, Just Security, November 30, 2018. Bulgaria Continues Commitment to Afghanistan. The Bulgarian Army is sending its 37th rotation (contingent) to Afghanistan. The 158 servicemen will involve a national element, a company for protection, advisors, and staff officers. Many will be assigned to the large NATO base in Kandahar. Bulgaria has also deployed members of the 68th Special Forces Brigade to Afghanistan beginning in 2006. (Bulgarian Military.com, Nov 29, 2018). Australia Investigation. The investigation of several members of the Australian SOF community is still ongoing. They are suspected of committing war crimes in Afghanistan. Read “Australia soldiers under investigation for war crimes”, JURIST, November 29, 2018. 2nd SFAB Deploying to Afghanistan. The 2nd Security Force Assistance Brigade has been formally activated and will be heading to JRTC for training prior to their deployment to Afghanistan. The 2nd SFAB will have the same mission as the 1st SFAB. They will field over 30 combat advisor teams to conduct the ‘train, advise, and assist’ mission. (Army Times, November 30, 2018). Key Leader Training for RS HQs. Allied Joint Force Command Brunssum (JFCBS) hosted future senior military officers heading to Afghanistan in early 2019 to a two-day training event in November in Mons, Belgium. JFCBS is the supporting headquarters for Resolute Support HQs in Kabul. See “Resolute Support Key Leader Training in Brunssum”, Allied Joint Force Command, November 30, 2018. IG OFS Report. The Lead Inspector General for Operation Freedom’s Sentinel Quarterly Report to the United States Congress has been published. The report covers the period of July – September 2018. 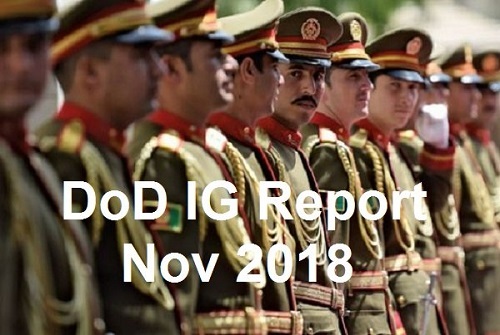 (Nov 19, 2018, DoD IG, 122-pages). CRS Report. An 18-page report published by the Congressional Research Service (CRS) provides an overview of the U.S. involvement in Afghanistan and U.S. policy on Afghanistan. 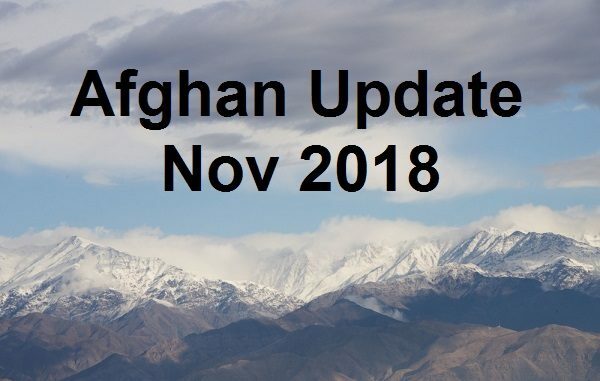 Read “CRS Report on Afghanistan – November 2018”, SOF News, November 10, 2018. Advising the MoD and MoI. The Special Inspector General for Afghanistan Reconstruction has published a 27-page report on U.S. efforts to advise the Afghan Ministry of Defense and Ministry of Interior. (SOF News, Oct 31, 2018). SIGAR Quarterly Report. The October 2018 report to Congress by the Special Inspector General for Afghanistan Reconstruction looks at a variety of topics to include counternarcotics, development, governance, and the deteriorating security situation. See “SIGAR Quarterly Report to Congress – October 2018”, SOF News, November 2, 2018. Presidential Elections – April 2018. The election is still months away but potential candidates are working hard to solidify their campaigns and general support. President Ashraf Ghani is running for re-election. Some of his key supporters, like Hanif Atmar, are seeking new paths and joining opposition coalitions. At the moment, Ghani appears to be the strongest candidate. Abubakar Siddique provides us an update on the looming election in “Afghan Presidential Field Taking Shape”, Ganhara Blog (Radio Free Europe), November 30, 2018. Hanif Atmar Running for President. The former national security advisor for President Ghani has announced that he is running in the April 2019 presidential election. Atmar is opposed to current attempts to make peace with the Taliban. He is a former Minister of Interior, a former intelligence officer in the communist government, and an ethnic Pashtun. Read “Powerful Ex-Security Chief to Run in Afghan Presidential Election”, Radio Free Europe, November 29, 2018. 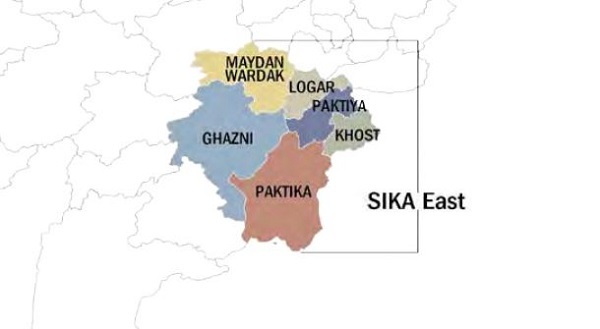 SIGAR Report on USAID’s SIKA East Program. The Special Inspector General for Afghanistan Reconstruction published a 22-page report dated November 2018 on the USAID Stability in Key Areas program that was conducted in eastern Afghanistan from December 2011 to 2015. The program was ‘leveraged’ by a number of in-country organizations to include the Combined Forces Special Operations Component Command – Afghanistan (CFSOCC-A). CFSOCC-A attempted to, when and where feasible, pair the efforts of the SIKA program with its Village Stability Operations (VSO) program. UN Report on Agriculture. The Food and Agriculture Organization of the United Nations has issued a 122-page report (October 2018) entitled 15 Years in Afghanistan: A Special Report: 2003-2018. US Efforts. The United States has put a lot of emphasis on ‘driving’ the Taliban to the peace table in an attempt to resolve the long-running Afghan conflict – using military, diplomatic, and social pressure. The US military has admitted the ANDSF can’t win a decisive strategic military victory over the Taliban. The conflict has become a stalemate between the insurgents and the Afghan government. The Taliban continue to incrementally score gains but it is unlikely to be able to take the major cities or hold any captured provincial capitals for more than a few weeks. So the US sees a negotiated settlement as a way to resolve the conflict and get its troops home. Alice Wells, the U.S. Deputy Assistant Secretary of State in charge of South and Central Asian Affairs, was interviewed by Radio Free Europe and provides the DoS perspective on peace talks. (November 29, 2018). Growing up Afghan. An Afghan woman has been selected as one of the BBC’s 2018 100 Women. She comes from a remarkable background and overcame significant obstacles to become successful. Read “Growing up Afghan: ‘My parents were told to swap me for a boy'”, BBC News, December 1, 2018. A Hero for Almost Everyone. General Abdul Raziq, the Kandahar Chief of Police, was assassinated in an insider attack in mid-October 2018 just after a high-level meeting took place at the Kandahar governor’s compound. His death has been mourned by many in Afghanistan and he has reached ‘hero status’ in the country. Read “Slain Afghan general cuts controversial figure”, Stars and Stripes, November 29, 2018. Losing a Winnable War. Tamim Asey, a former Afghan Deputy Minister of Defense and Director General at the Afghan National Security Council, writes on what is needed for victory in Afghanistan. (Small Wars Journal, Nov 2018). IO in Afghanistan. An Afghan pilot in the Special Mission Wing (SMW) and a U.S. advisor to the SMW write “How Do We Win Information Warfare in Afghanistan?”, Small Wars Journal, November 2018. Book Review – FETs. Former Army linguist Eileen Rivers profiles three military women as well as Afghan women in a new book about U.S. military Female Engagement Teams or FETs. The story takes place in 2013 in Helmand province, Afghanistan. Read the book review of Beyond the Call: Three Women on the Front Lines in Afghanistan. Video – MeS Medical Support. An officer in the Dutch military describes her job at Camp Marmal, Afghanistan in this 2-minute long video. (Resolute Support, October 29, 2018). Video – Enabling Afghan Women, Resolute Support, October 29, 2018. The Senior Gender Advisor at Train, Advise, and Assist Command – North (TAAC-North) describes her duties and responsibilities at Mazar-e Shariff in this 2-minute long video. Video – TAAC-N’s Excellence Lies in Great Cooperation, Resolute Support, October 29, 2018, 2 mins. A force protection officer talks about his job at MeS and working with other nations at TAAC-North. Photo: Mountains of Afghanistan near Bagram Airfield. Photo by Senior Airman Jean-Paul Arnaud-Marquez, 455th Air Expeditionary Wing Public Affairs, November 1, 2018.